Not all zombies are created equal. It’s actually kind of crazy that we now live in a time where pop culture can quickly identify the differences between zombies from different franchises. Dying Light’s zombies don’t mess around. They are oppressive, hungry, strong, and way too fast. It’s actually the first time that the hopelessness of a zombie apocalypse has ever struck me. Climbing to a roof top after the sun goes down, seeing no hiding spot in sight, and knowing how far away safety is is intimidating. It becomes crippling when you realize zombies are climbing up right behind you and you don’t have time to stop to think about what to do next. You can only run. And jump. And pray you don’t fall. The zombies complete the experience, but lost in Dying Light’s grim atmosphere is the realization that first person traversal can actually be entertaining. 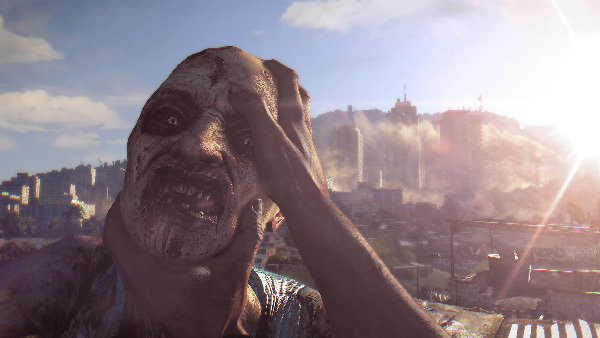 In a year full of open world games, Dying Light took some of the biggest gameplay risks in the genre and still managed to make its world fun to run around in. Leaping across rusty rooftops is as smooth watching a zombie fall off a rooftop from your perfectly placed kick. It plays so well, it’s almost easy to forget that you are in constant danger. At least until you turn around and the lights go out. Thanks for making me respect the dark again, Dying Light.